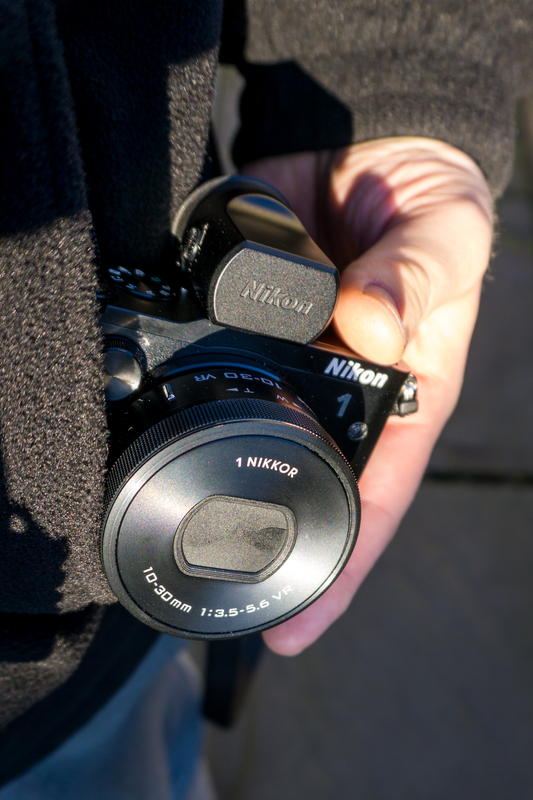 I had the opportunity to review the Nikon 1 V3 camera. 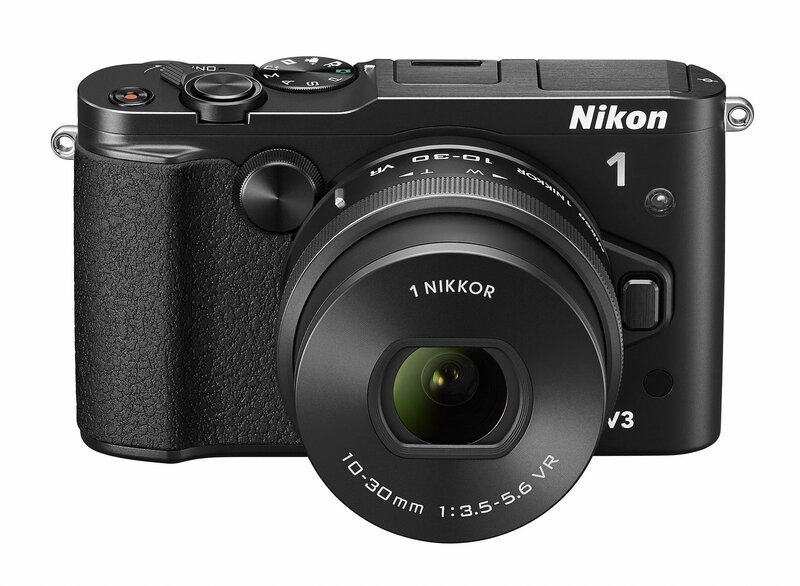 The Nikon 1 V3 is the latest and greatest Nikon has to offer in the mirrorless camera market. I was looking forward to review this camera for several reasons. Before I bought my Sony Alpha A6000 I used Nikon DSLR cameras since 2005, and I’ve been very fond of the cameras, the ergonomics and the build quality. 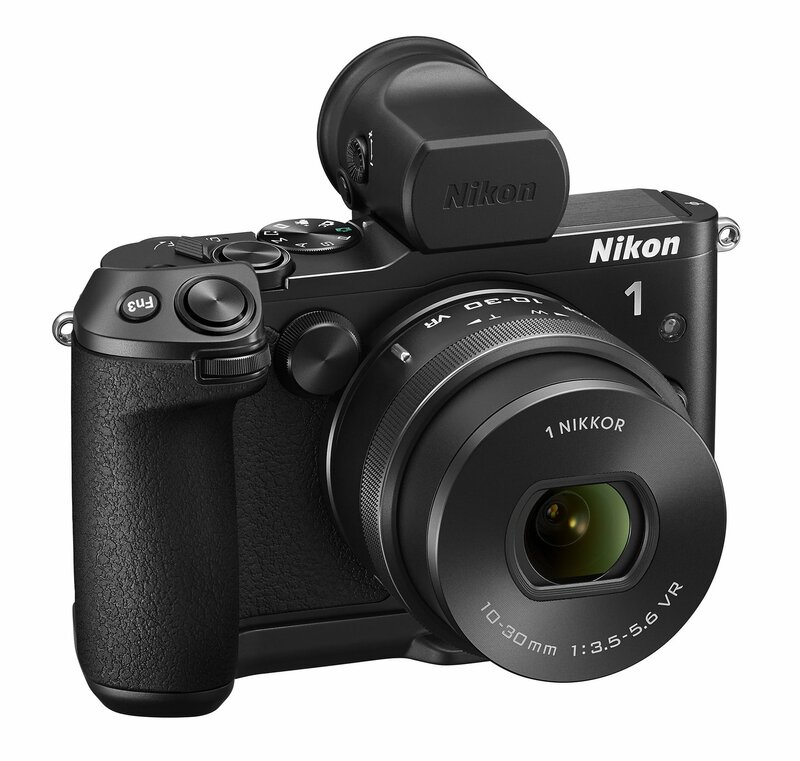 So I’m very eager to find out if Nikon managed to keep the good from the DSLR’s and put it in a smaller, lighter body. The second reason I was looking forward to using this camera was that I went back and forth between the Nikon 1 V3 and the Sony Alpha A6000 when I wanted to trade my DSLR in for a smaller and lighter camera. I chose the Sony because it was a lot cheaper at that time, but the prices of the Nikon went down since last summer (mind you, the A6000 also got cheaper so the difference is about the same). So I’m wondering if I made the right choice back then: let’s find out! The mirrorless camera market has been booming for some time, so all the big manufacturers want to take a piece of the pie. Of course a big portion of the market has been divided by the brands that got in to the mirrorless cameras first, like Sony with the APC-C sized sensors (and now even the full frame models), FujiFilm with the APC-C sized sensors and of course the M-3/4 brands. Canon has tried, and apparently failed (The Eos-M is far from successful, I don’t know if Canon will give it a new try anytime soon). Nikon did get on board quite early, but they decided to be a little pig-headed. Instead of the large M3/4 sensors or the even bigger APS-C sized Nikon decided to use a small 1” sensor (explains the name of the series, Nikon calls the format CX). There are a number of reasons to choose a smaller sensor. A small sensor can be built in to smaller bodies and be used with smaller lenses, the bigger cropfactor allows for more reach in the long telephoto end, they can be faster (in frames per second) and a smaller sensor can be cheaper. Speaking of cropfactor, the Nikon CX format has a 2.7x cropfactor. This means the 10-30 mm kit lens I used in this review has an effective focal range of 27-81 mm in full frame terms. So, only advantages with a small sensor? Regrettably not… A smaller sensor does trade in image quality for the mentioned advantages. It’s harder to get more megapixels on a smaller sensor (the V3 sensor is 18,3 megapixels, compared to 20 megapixels or more on the current APS-C cameras) because the individual pixels are smaller, so the marketing department has a harder time selling the camera to the uninformed consumers. And as a result of the smaller pixels the dynamic range will be more limited and you will get more noise in low(er) light situations. With the smaller sensor and larger cropfactor it will be harder to create a good wide-angle lens, because you need very small focal lengths to achieve a real wide lens. The last downside is that the depth of field is larger, so subject isolation is harder to achieve. So it’s harder to get that dramatic look. In action photography this can become an advantage because you’ll have more in focus and thus less change of an out of focus photo. 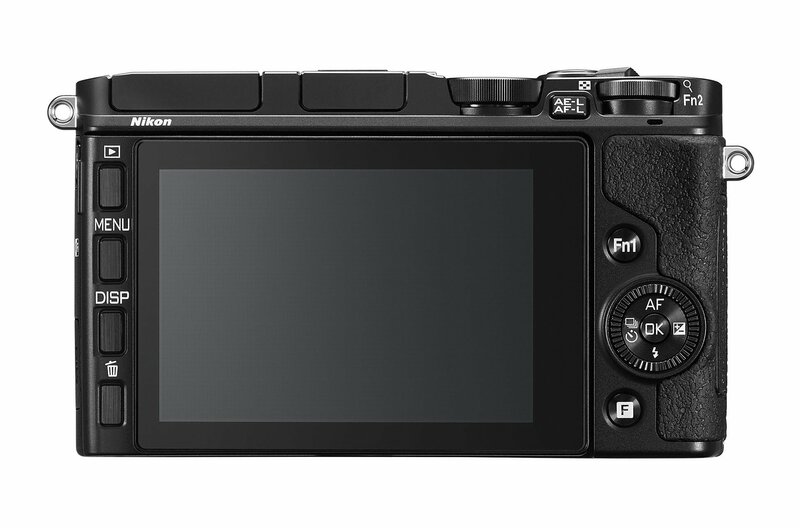 I have to get this off my chest, the Nikon 1 V3 is an expensive camera. The body is about 850 euros, the kit with the Nikon 10-30 mm f3.5-5.6 lens is about 900 euros and the full kit I’m using for this review with the EVF and grip is about 1150 euros. The first thing I noticed when I picked up the camera for the first time was the small size of the Nikon 1 V3. My Sony Alpha A6000 is by no means a big camera, but the V1 is still a lot smaller (especially without the EVF and the grip attached). The body is made of metal and very well put together. It feels very sturdy, just like you would expect from a high end consumer Nikon camera. The optional EVF and grip fit nicely and are made to the same high standard. On the press photos of the camera I didn’t like the look of the EVF, but in real life it looks a lot better. I makes the camera look more serious, less like a simple point and shoot. Build quality is very good. You don’t really notice it at first, but when using it side by side with my Sony A6000 (which is built quite well, especially considering the price) the difference became very clear. The Sony feels less sturdy, more like a consumer camera while the V3 feels almost like a pro-style DSLR. It’s noticeable in a lot of little things, like the way the battery compartment opens or the way the dials feel. But the thing that I noticed the most was the shutter sound. The Sony has got a quite loud hollow clonk sound, while the Nikon has got this really nice dampened click. All of this probably doesn’t say much about the durability, but you can feel you’ve bought a high end piece of equipment and that is a satisfying feeling. The only little letdown is the grip, it’s secured on the bottom, but at the front top side it’s got a little play. No big deal, but to complete the whole premium build quality feel it would have been nice if they had added one extra point to attach it to. The V3 has got a wide selection of dials and buttons to help you control the most important functions. On the top there is a point and shoot style on – off switch (around the shutter button) which resets to the initial position after use, so you can’t see if the camera is on or off. I’m not a fan of this type of switch, but then again it does what it’s supposed to do. Next to the shutter button there is the PASM-dial, with several other options like the video and automatic modes. On the right side there is a small record button to start recording. On the left side you’ll find the built in flash. The flash pops up, and can be held back to bounce the light of the ceiling. On the top / back there is also the first multifunctional dial. This is used to quickly change settings like the aperture in A or M mode. This dial doubles as an customizable button (FN1) when clicked. On the front of the camera you’ll find a second dial, in a vertical position. It’s nice to have a second dial on the front, but the vertical position isn’t perfect for my big hands. Luckily the optional grip has got an extra dial that does the same as the vertical dial and works a lot better. The grip also has got a second shutter button and a third customizable button (FN3). FN1 is found on the back of the camera. I’ve got the optional grip with the camera. With big hands the grip is almost a need to have instead of a nice to have. Without the grip the camera is a little too small to hold comfortably in long shoots, but if you have smaller hands you’ll probably be fine. The grip attaches to the tripod mount on the bottom of the camera. It’s got a tripod mount of itself, so you don’t have to remove the grip to use a tripod. It is a pity you have to remove the grip to get to the battery, so with every charge you’ll have to remove it. Nikon recons you’ll get about 3-400 photos on one charge, which is on par with other mirrorless cameras but far from a DSLR. In reality the battery seems to hold up much longer, I think I might even make it to about twice that on a single charge. The back display is 3 inches wide and very sharp. One thing I really like about the back display (and the EVF also) is the high refresh rate, which makes the image look very smooth, sharp and with a good colour reproduction. It looks like the display on my Sony has a refresh rate of about 30 fps while the Nikon looks like 60 fps, so it’s less choppy. The display is tilts up and down, and the buttons directly next to the screen move along with the screen (play, menu, display and delete). The hinge on the screen is very sturdy. The EVF has got a high resolution so the image is very sharp and clear. This means the EVF is a real pleasure to use. The image is sharp enough to use for manual focusing. One nice extra is the multi dimension (spirit-)level in the display. This shows if you are keeping your camera level from left to right and also front to back. This is a great help when shooting landscapes or other photos where you need the horizon to be completely straight. My review model came with the Nikon 10-30 mm f3.5-5.6 power zoom kit lens. The price difference between the kit with lens and just the body is only €50 euro’s in the Netherlands, so you’d be crazy not to get the kit. When you have to buy the lens alone it’s about €300. With the 2.7x cropfactor the lens has an effective focal range of 27-81 mm in full frame terms. It’s small, light and the quality is quite acceptable. This lens is incompatible with filers or hoods, as it doesn’t have a filter tread. When it’s retracted there is an automatic cover protecting the front lens element, the same as you find in point and shoot cameras. The lens is power zoom, you zoom it by rotating the ring on the lens. I’m not a big fan of power zooms as they tend to be slower and less precise than a manual zoom but it’s manageable. In this case it’s the trade-off for the smaller size, and it’s worth it. This lens is very small and light. There is no manual focus ring on the lens, so when you want to use the manual focusing you have to use the dials on the front of the camera (either the vertical one or the horizontal one on the grip if you have that attached). The manual focusing with the little dials isn’t very user-friendly as the dials do click from stop to stop. I prefer the Sony-way where you use the big smooth turning ring on the lens. It’s also focus by wire, but it feels more precise and more natural. The 2.7x cropfactor does open up a lot of possibilities for long range photography. The 70-300 mm lens becomes a 189-810 mm lens. So this would make the V3 with the Nikon 70-300 mm lens an ideal lightweight and compact kit for nature photography. I read that some nature photographers use theirs Nikon F-mount lenses on the 1 (with the adapter), and use the Nikon 1 camera as a 2,7x teleconverter giving them a lot more range with the same glass without losing light. Nikon has chosen to use a smaller sensor which give this camera wings. This is a very fast camera, in several ways. It’s start-up times are short, it’s got very fast autofocus, amazing framerates (up to 60 fps) and you can use slowmotion video up to 1200 fps. Let’s start at the beginning. Start-up time, when you flip the on-off switch the camera is ready to shoot in about 1 second, including the time it takes to extend the power zoom lens. Maybe it will even be faster when you use a non-retractable lens. Nikon claims the autofocus is one of the fastest systems on the market. That’s funny since Sony said the same about the A6000 and Samsung claims this about the NX1. But in everyday use the autofocus is very fast. I can’t see any difference between the V3 and my Sony Alpha A6000, so both are on par with a mid-range DSLR in good light. When the light gets dimmer the V3 slows down, just like the A6000 does. Tracking of fast moving subjects does take a little more effort than it does on the A6000. Maybe this requires a little more practice of the photographer, so I can’t without doubt blame the Nikon AF-system. The V3 can take up to 60 photos a second, if you lock the autofocus on the first frame. When using autofocus while shooting the V3 can take up to 20 photos a second, with autofocus between every frame. The Sony A6000 manages 11 frames per second, that was very impressive. The 20 frames per second is out of this world. The buffer has room for about 40 frames (NEF / RAW) so you fill it up in just 2 seconds, with my slow Micro SD card it takes the camera about one and a half minute to clear the buffer. So using a highspeed Micro SDXC UHS-I card is advised for using the high fps mode. For sports or action it would be nice if the buffer was a little bigger, so it could keep the speed up just a little longer. Last point where the V3 impresses is it’s slowmotion video. Filming in 720P mode you can use the 120 fps second mode for slowing down the action. You can also use 400 or even 1200 fps mode on low resolutions. The slowmotion videos are about 2 seconds long, but the 1200 fps clips can stretch to about a minute when playing them in normal speed. For me the slowmotion is more a gadget than a really useful option, but I can imagine it can come in handy in some professional situations as it can show you things you can’t see in normal speed videos. You do need a lot of light when using the 400 or 1200 fps setting (since the minimal shutterspeed is the same as the fps settings in those situations). When using a smaller sensor the individual pixels are smaller, especially whit a sensor with as much pixels as the one in the V3 has. This means it will be harder for the individual pixels to capture enough light compared to the bigger pixels on bigger sensors. This in turn means noise can be a bigger problem at higher ISO’s and you lose some dynamic range. When looking at the photos of the V3 I noticed visible noise even at quite low ISO settings. In the following example the photo was taken with ISO 400, and you can clearly see noise in the darker parts of the photo. Mind you, this photo was taken in RAW with no noise reduction applied. 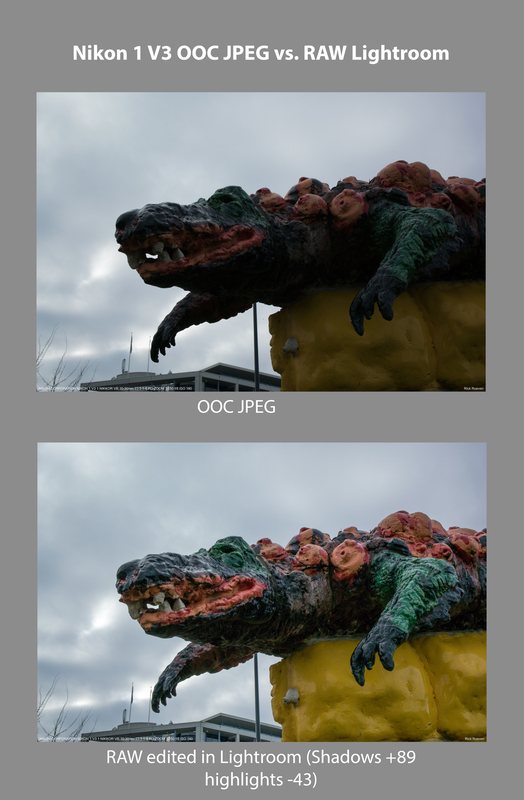 In a OOC JPEG the noise reduction will get rid of the noise by trading in some sharpness. In the next section you’ll find some comparison shots with the Nikon 1 V3 on the left and the Sony Alpha A6000 on the right. All the photos are taken in a dimly lit room, aperture set to f5.6, shutterspeed controlled by the camera, no noise reduction and shot in RAW. You’ll see differences in metering between the Sony and Nikon, and the Sony has got a higher resolution. So it’s no scientific correct test, but it gives you a good idea of the capabilities of the Nikon in low light. As you can see the Nikon doesn’t fare too bad. In the example above you can see noise does start to show quite early, but luckily it doesn’t increase too fast when you crank up the ISO. ISO 1600 is still very acceptable and usable. ISO 3200 can be used in shoot or lose situations, but you’ll lose detail and colour. I wouldn’t go above ISO 3200. All in all the ISO performance is about one stop behind the Sony A6000 which is a very good result for the Nikon. Nikon has done a great job with the way this camera outputs the JPEG files. Colours are neutral in standard mode, and if you like a little more punch you can choose the vivid setting. Noise reduction can be a little harsh, so setting it to low is advisable. I’d rather have some visible noise than lose all details. The RAW files (NEF in Nikon speak) give you enough room to play around. The dynamic range is a little less impressive than with the Sony so you can’t push the shadows too far. The sensor Nikon uses doesn’t have an AA-filter. This means the camera should be able to take sharper photos since an AA-filter is made to prevent moiré, and to do that it does loose some sharpness. Nikon uses the extremely fast Expeed 4A chip to prevent the moiré with software voodoo. I must say I can’t really see what the omission of the AA-filter does to improve the image quality because I can’t compare it to something (and the A6000 does have an AA-filter, but also has got a higher resolution), but the sharpness is good. I didn’t see any moiré in any of my pictures, but in some other reviews people were able to provoke some moiré when for example shooting a piece of fabric with a complex weave. 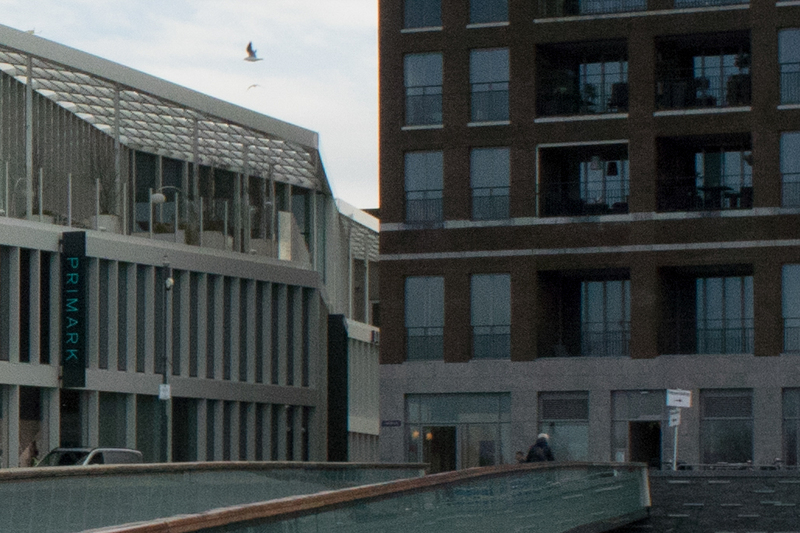 So not having an AA-filter certainly doesn’t hurt the image quality in day to day use. The Nikon kit lens does a really nice job. The Sony 16-50 mm kit lens does distort a lot, a trade off Sony made to keep the lens so small (and is corrected in camera when using JPEG). Because the sensor of the Nikon is smaller they were able to build a very small and retractable lens without trading off in too much distortion or sharpness. This is still a kit lens, so don’t expect it to be perfect but it is a very pleasurable little lens. The lens can focus up to about 20 cm from your subject, so you’ll have a semi macro function. And at those short focusing distances you do get a great back-ground separation. If you are looking for high quality optics, Nikon has got the CX 70-300 mm at about a 1000 euros or the 32 mm f1.2 prime lens (giving it a perfect 86 mm focal length as a portrait lens) which is about 850 euros. Both get very good reviews online, and greatly expand the possibilities of the system. In the following gallery you’ll find some photos I took with the Nikon 1 V3 during my review period. Nikon has gambled with the 1 series. They chose a smaller sensor and made the most of the advantages of that sensor. 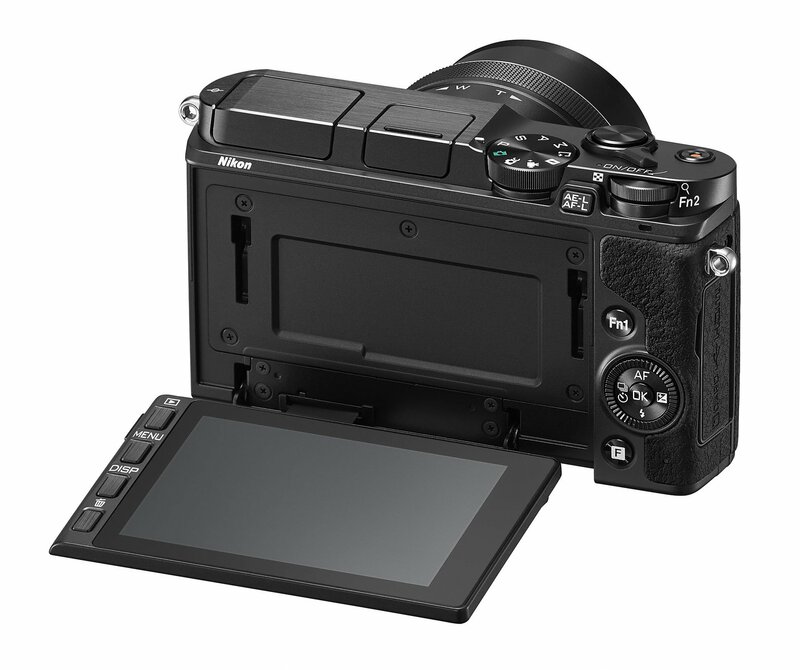 They put the capable sensor in a small but very customizable body with controls like you’d find on a higher-end consumer DSLR, given you add the grip. The EVF is a great addition, I can’t see someone using this high end camera without the EVF. That does mean you’ll have to get the premium kit, which is quite expensive at over 1100 euros. The Nikon 1 isn’t the camera for you if you are looking for a cheap point and shoot replacement. Nikon (and other brands) offer cheap interchangeable lens cameras that will do that job just fine. The Nikon 1 is the perfect camera for you if you need a fast and small camera with a big set of native lenses to choose from. It’s also for you if you are a Nikon fan who needs a second camera to go with your Nikon DSLR or if you want to go smaller / lighter and want to keep your Nikon F-mount lenses. I think the nature photographers will like this camera too with its fast autofocus and the enormous range with the 2.7x cropfactor. If you do choose the Nikon 1 V3 you’ll have a great camera. It’s small and very well built, and Nikon did incorporate all the good from the DSLR’s when it comes to ergonomics and image rendering. I had great fun using it, and if it fits your profile I’m sure you’ll love it just the same. I’d love to have the opportunity to test the Nikon 1 V3 with the Nikon CX 70-300 mm if I’d get the chance, I think it will be the perfect zoo or nature kit. 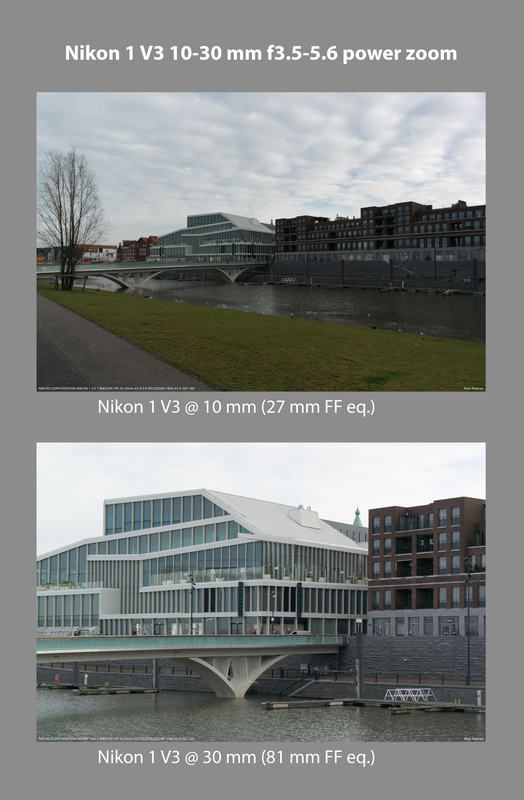 I’d like to thank Nikon Netherlands for lending me the Nikon 1 V3 camera. 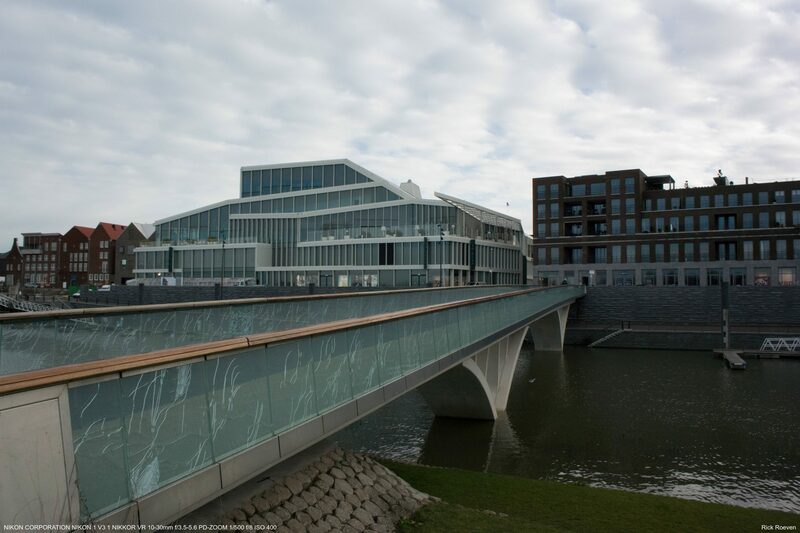 Product images supplied by Nikon Netherlands. This blog is my hobby, I don’t make any money writing these reviews. Did you find this review useful and want to help me keep this blog online? If you like this little camera and want to buy it, please use one of the following links. It doesn’t cost you anything but I’ll receive a small fee for every sale.